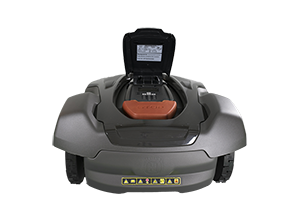 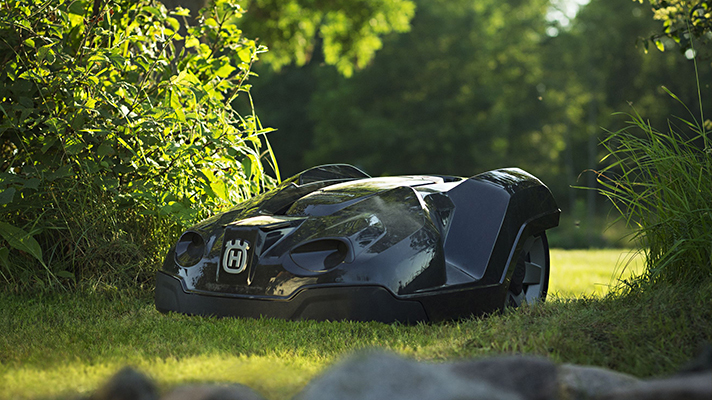 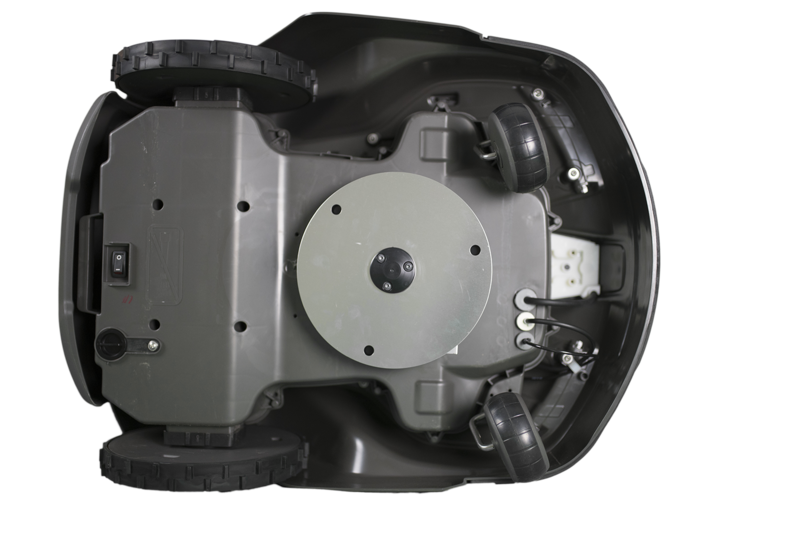 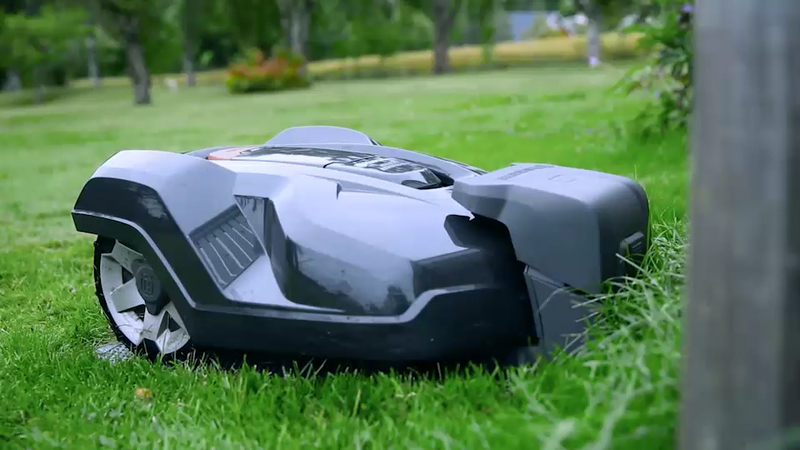 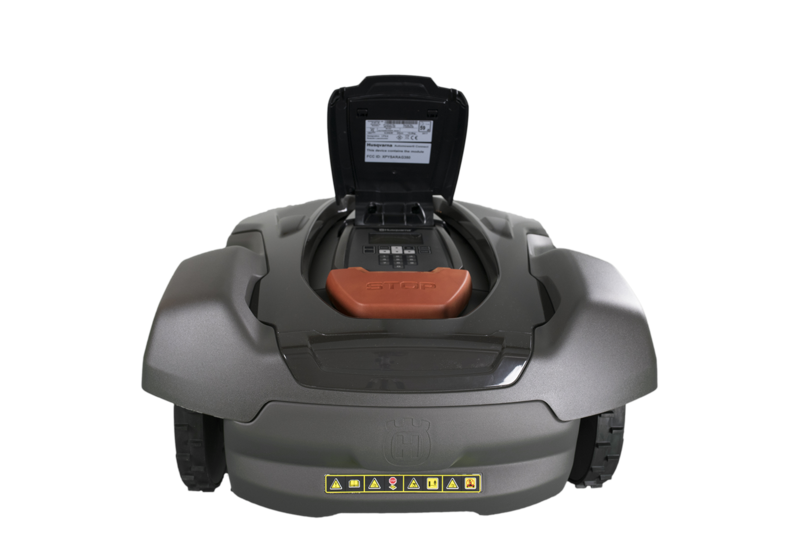 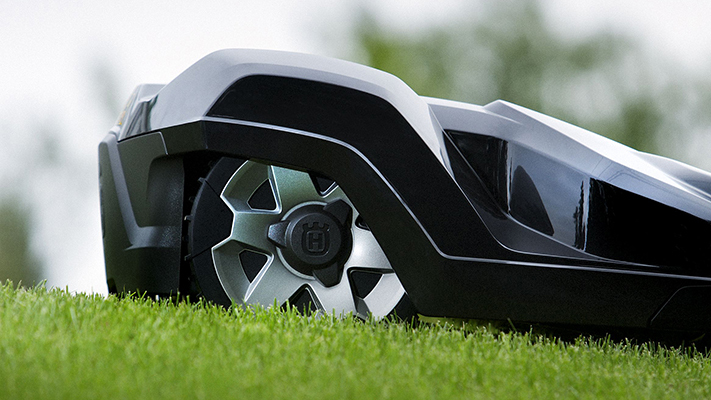 The World’s Most Advanced Robotic Mower! 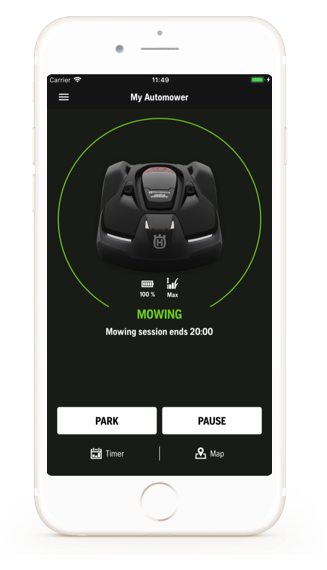 No matter where you are, Automower Connect® gives you full control of the mower right from your smartphone. 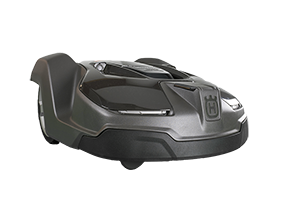 You can easily send start, stop and park commands, or check and adjust settings. 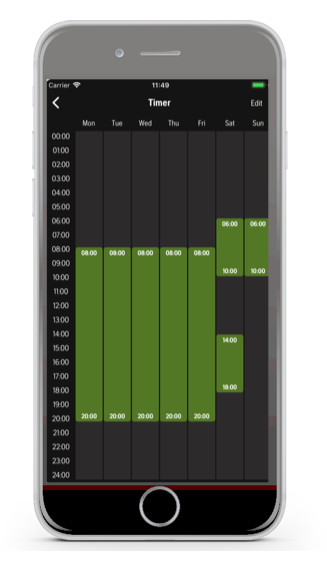 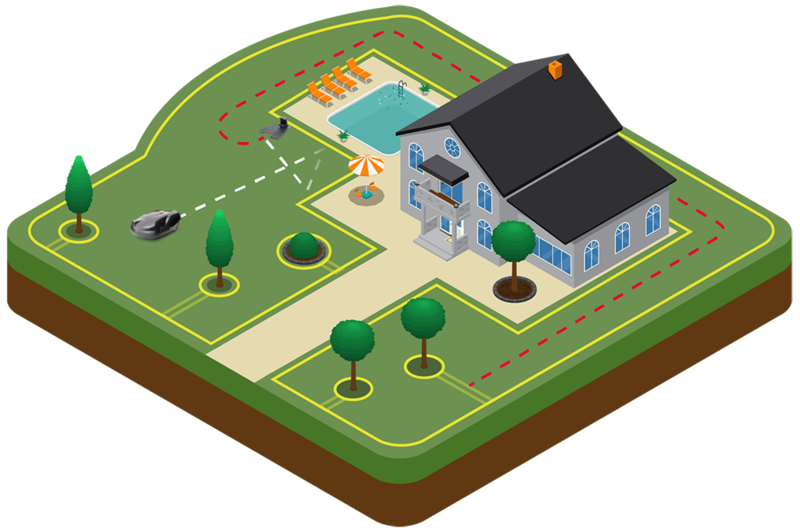 Thanks to GPS tracking, you can also receive alarms and track your mower’s position in the yard. 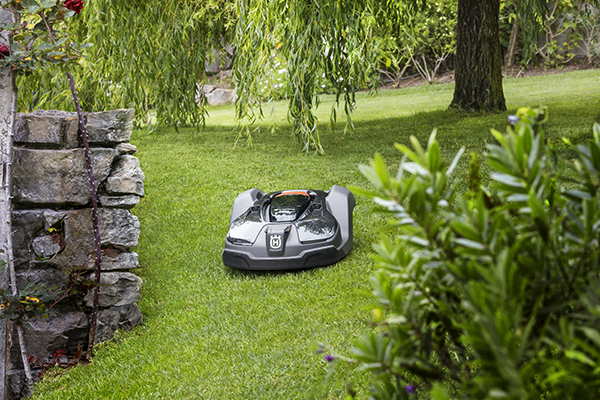 Mowing a seemingly random pattern, gives a carpet-like lawn, throughout your garden. 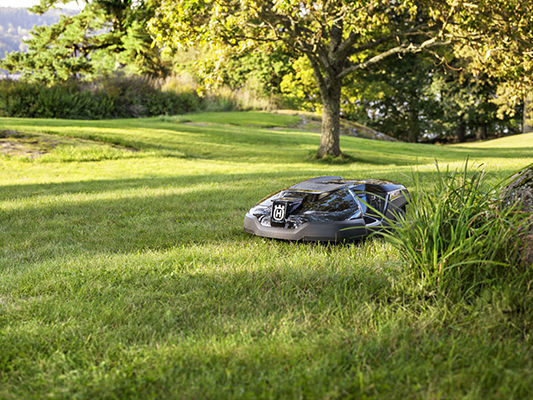 It can cope with slopes up to 45 degrees, thanks to optimized design and smart behavior. 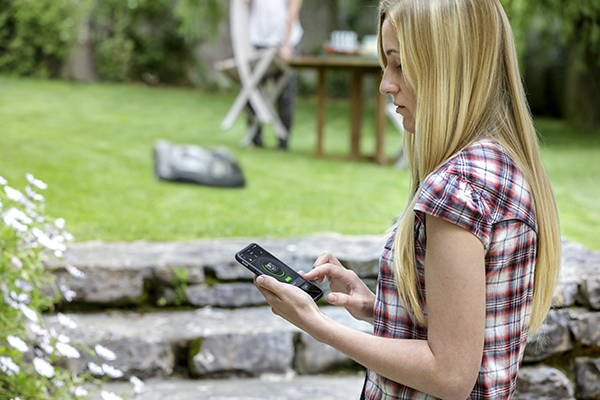 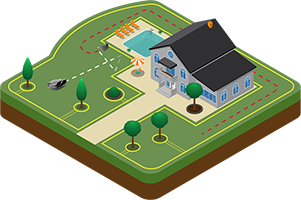 Several navigation tools, including GPS* ensure coverage of entire lawn, even complex lawns. 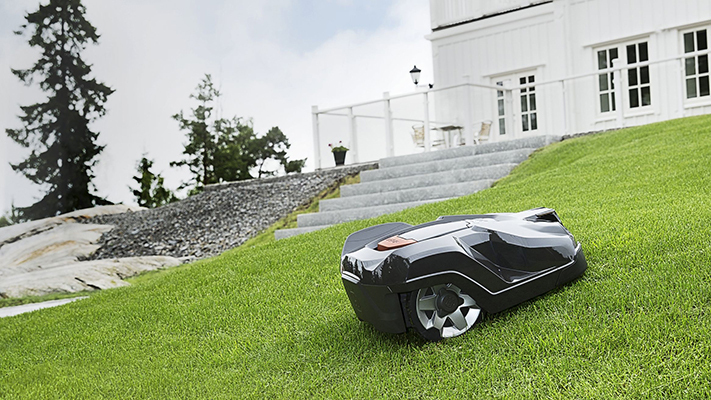 You’ll hardly notice it as it rolls around your lawn doing its job quickly, quietly and efficiently. 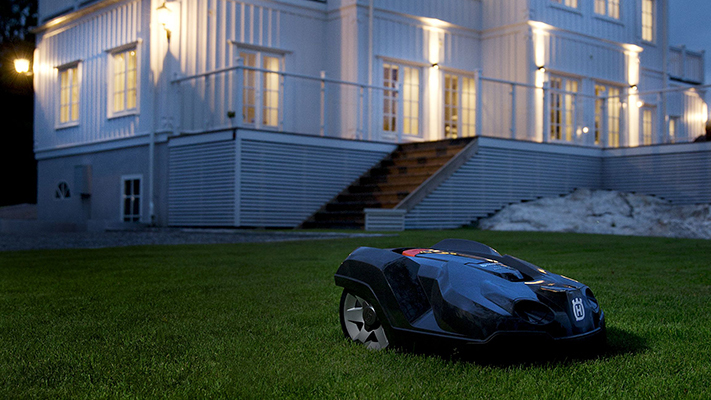 No noise, no fuss – just a great looking lawn. 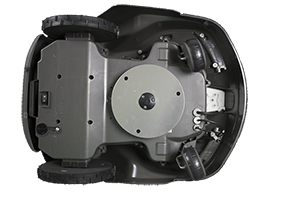 Senses narrow passages and finds its way through even the narrowest gaps. 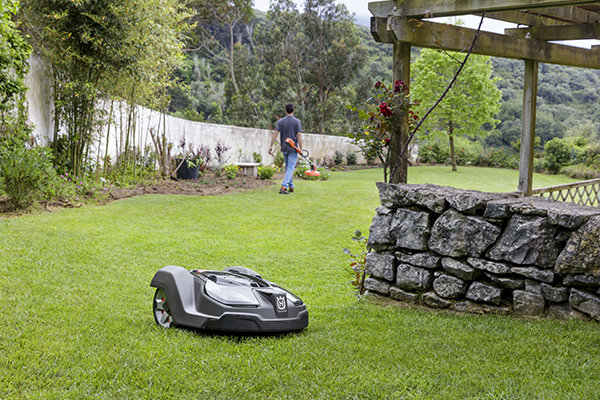 Large wheels and a clever chassis design ensures perfect result on rough lawns. 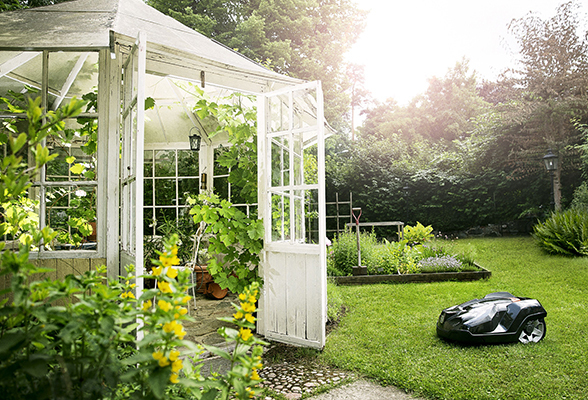 Gets great results in any type of weather. 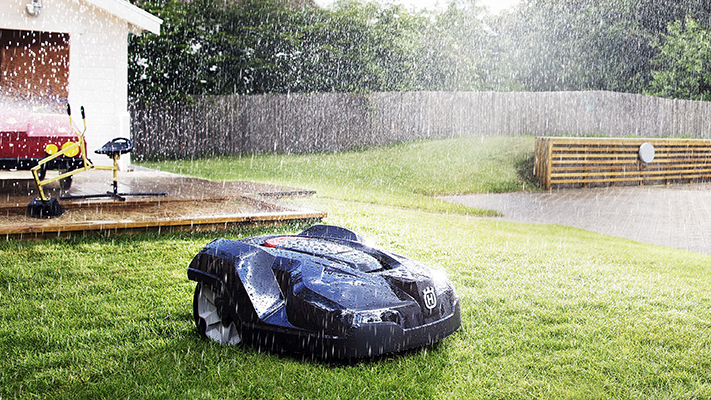 All vital parts are safely protected from rain and dust. 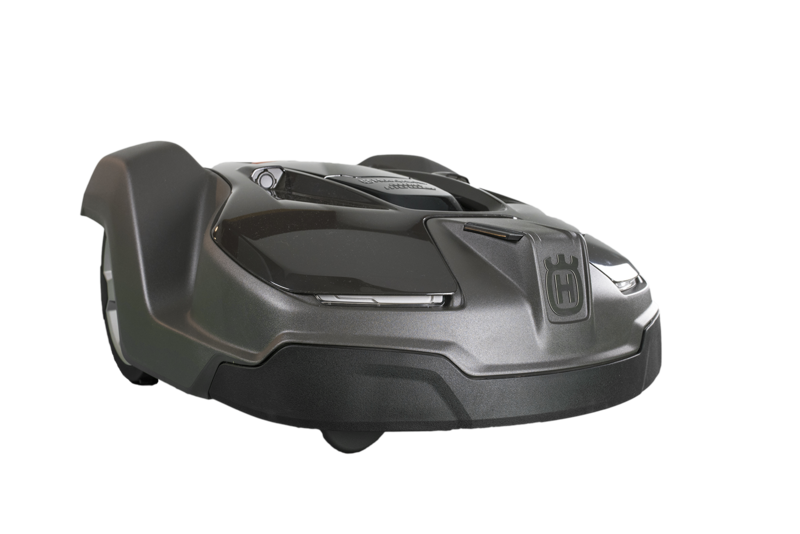 Control the operation of your Husqvarna Automower® from your iOS or Android smartphone, including location and theft alarm.